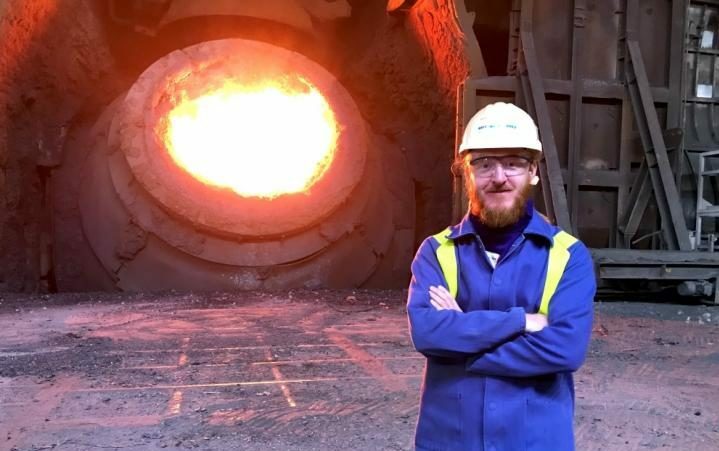 The new laser-based technology developed by Dr Szymon Kubal with Swansea University spin-out company Kubal-Wraith in collaboration with Tata Steel UK; offers real-time monitoring of the chemical composition and temperature in molten metal furnaces. The process was developed to overcome the flaws of the existing monitoring system which breaks the production process and increases production cost. Dr Kubal’s laser monitoring process overcomes the existing flaw by projecting a laser beam directly into a molten furnace through a refractory gas-swept channel in the furnace wall. This provides real-time monitoring of the chemical composition and temperature in molten metal furnaces without stopping the production process. Dr.Kubel explained that the previous attempts of laser measurement techniques have been ineffective because metallic accretions block the channel through which the laser is probing, making the devices unreliable. In the process of steel making, several samples of molten metal are collected to check composition and the temperature is also measured plenty of time. With the existing monitoring process, expensive disposable probes are immersed into the molten metal to take samples and measure temperature. This makes the present process costly and time-consuming as compared to the new process. There are over 1000 molten metal furnaces worldwide according to World Steel Association data. By adopting this new technology, each could see significant cost savings, increased throughput, and a reduction in the use of consumables through adopting the new continuous process control of temperature and composition. This technology was initially developed aiming at steel plants but the technology is also suitable and applicable to other metal making sectors such as aluminium, copper, and nickel.